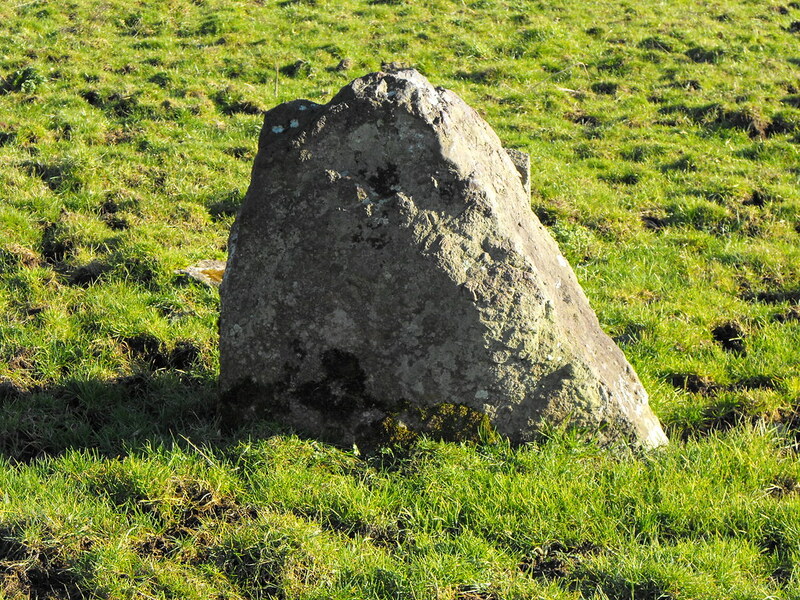 The Standing Stone: Grange, Wedge Tomb, Co. Limerick. Grange, Wedge Tomb, Co. Limerick. 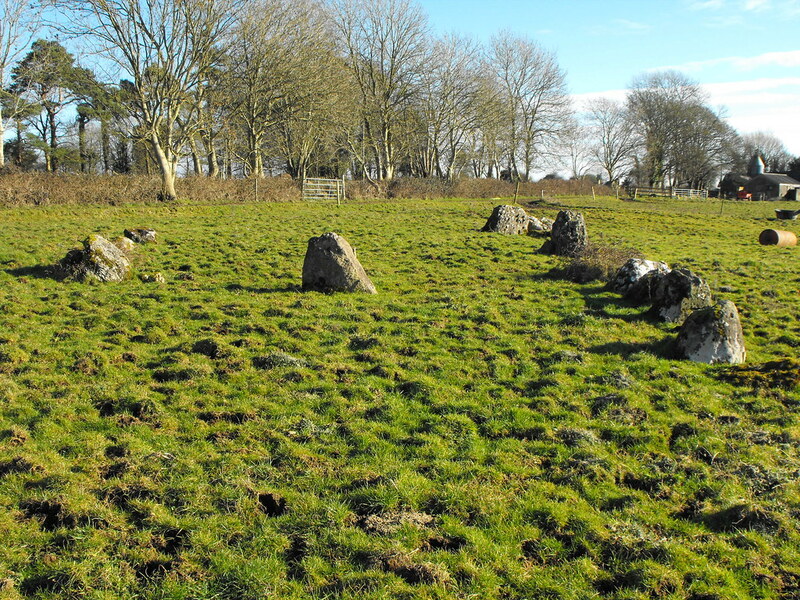 Location – Located in the field opposite the main circle at Grange, across the road and to the right of the farm house. It can be reached by walking along and road and climbing over the fence and into the field. There is also an electric fence to be dealt with. OS: R 631 405 (map 65) GPS: R 63130 40507 (Elevation: 73m – Accuracy: 7m) Description and History – I have used the classification ‘wedge tomb’ here but I use that loosely. I have put it down as a wedge tomb because I don’t really know what else to call it and wedge tomb is a possibility that has been raised concerning this site. 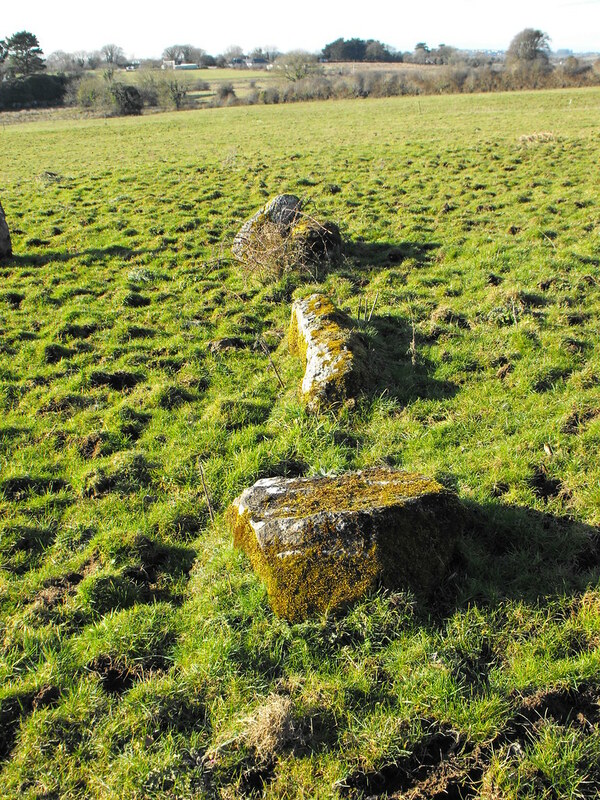 All that remains is two rows of stones about 4m apart with one stone located between the two. There are 11 stones in all. According to Tim, the owner of the site, he once witnessed the sunset of the summer solstice at this site and claims they are aligned. Whatever it was, its alignment makes it very interesting. It is worth looking at because it is so confusing. All we can do, without excavating, is theorise. Difficulty – Easy to find but you have to walk along the main road for a bit to get to gate and people really race along this stretch of road so be very careful. Stay on the grass and keep your eye on the cars. For more wedge tombs, click here. 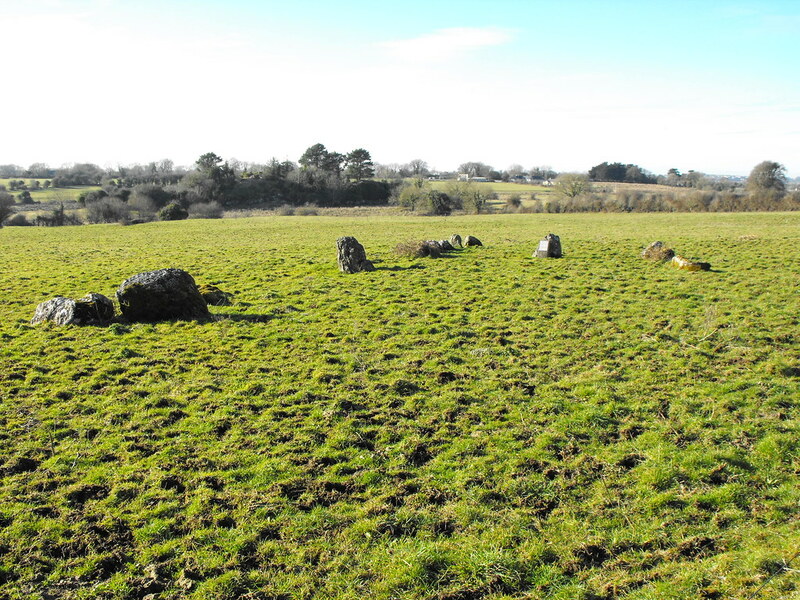 For more sites around Lough Gur, click here. For more sites in Co. Limerick, click here. As you can see, there isn't much left here. Here you can make out the two rows with the one on the right being the clearest. 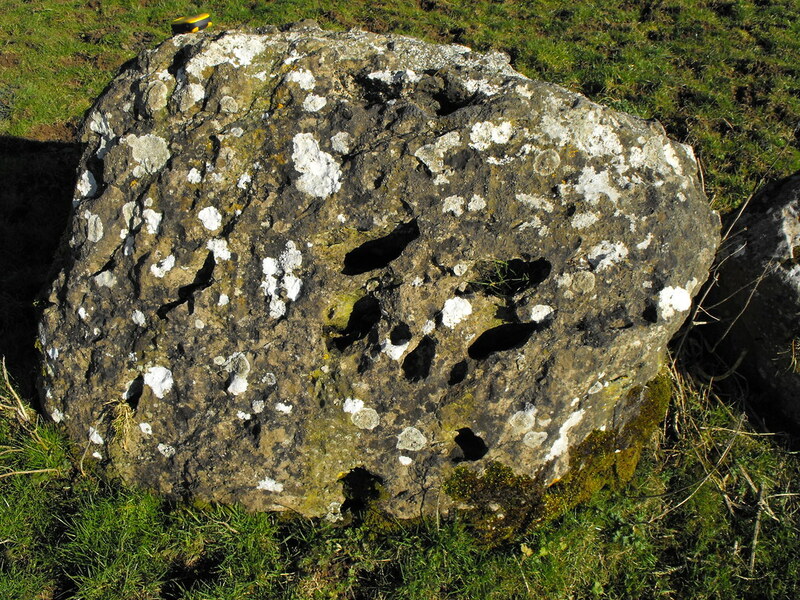 The stone in the centre stands about 60cm high. 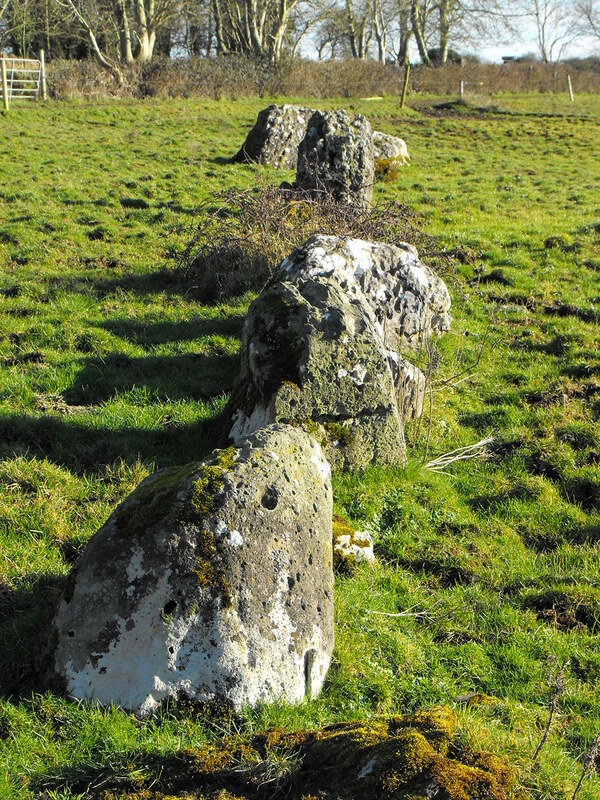 The shorter row consisting of three stones. Unusual weathering. Sorry about my GPS sat on top of the stone.